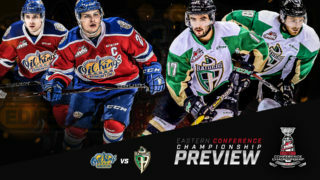 RAIDER REVIEW: The Raiders (7-1-0-0) wrap up their road trip with a Monday matinee against the Calgary Hitmen (0-4-1-0) at the Scotiabank Saddledome. On Saturday, the Raiders suffered their first defeat of the season by a 4-3 score to the Red Deer Rebels. Aliaskei Protas got the Raiders on the board first. In the third trailing 3-1, Sergei Sapego and Brett Leason scored 15 seconds apart to make it a 3-3 game. However, Reese Johnson beat Ian Scott with 2:16 to play to hand the Raiders their first loss. Scott made 17 saves in the loss for the Raiders. Prince Albert fired 52 shots at Ethan Anders, but were only able to solve Red Deer’s goalie three times. 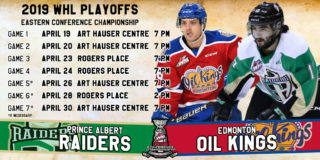 VS. CALGARY: Monday’s game is the first meeting of the year between the Raiders and the Hitmen. Last season, the Raiders finished the year with a 3-0-1-0 record against the Hitmen to take the season series. However, two of the Raiders’ wins came in overtime. 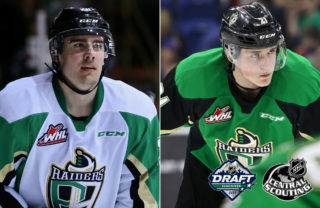 CALGARY CONTENT: The Raiders have six players on their roster who list Calgary as their hometown. 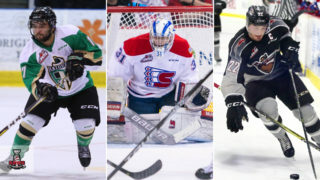 All of them have already played a game at the Scotiabank Saddledome, including rookie forward Ozzy Wiesblatt. The 16-year-old made his WHL debut on Jan. 21, 2018, scoring once in a 4-3 overtime loss to the Hitmen. 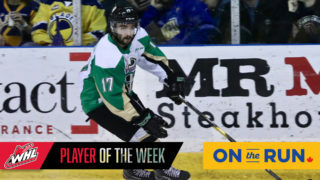 STREAK SNAPPED: The Raiders had their seven-game season-opening winning streak snapped on Saturday night in Red Deer. The Raiders’ 7-0 start was the team’s best since the 1985-86 campaign that saw Prince Albert open the year with eight consecutive wins. LIGHTING THE LAMP: Four goals has been a magic number for the Raiders. Dating back to last season, when the Raiders score four or more goals in a game, they hold a record of 34-3-5-1. When scoring three or less goals like Saturday night in Red Deer, the Raiders are 5-25-4-3. MONDAY BLUES: It’s not very often the Raiders take the action for a game on a Monday. The Raiders are currently riding a four-game losing streak on Mondays. 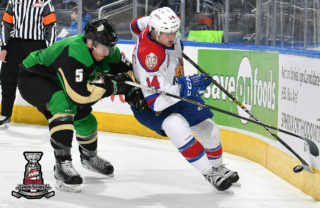 The last win on a Monday came on December 30, 2013, downing the Regina Pats 4-0 at the Brandt Centre. NEXT UP: The Raiders are back at home on Saturday, October 13to take on the Red Deer Rebels (5-2-0-0) on Parker Kelly Bobblehead Night Presented By Canadian Tire. Puck drop is 7 PM. Tickets are available at raiderhockey.com.